The psychology of home staging is an important concept to understand, since property enhancement is a purely emotionally-directed strategy within the real estate marketing sector. In order to succeed in any real estate sales endeavor, one must fully appreciate the psychological impact that exemplary staging can enact on any prospective buyer. Property buyers are often slaves to their emotional selves. They long for certain criteria in their next home and these desires can be easily exploited through home staging, as long as the needs of the target buyer demographic are adequately addressed. Since real estate staging appeals to all the senses, the effects of decor enhancement can immediately permeate deeply into the mind, causing potential buyers to realize that they might have just found their true dream house or apartment. This valuable treatise explains the psychological basis for the success of property staging. We will examine the emotional needs that staging fulfills and the influence it has over the minds of aspiring home buyers. When people set out to view properties, they have already formulated a mental vision of their ideal home. They have probably spent considerable time and effort determining all the features they desire in their next home and have likely built-up quite an impressive image of a perfect house or apartment in their minds. Prospective buyers head out into the world with a strong intention to realize the promise of their forever-home vision. Every buyer wants to find their dream home and some will not stop until they find the absolute best property to suit their many needs and wants. Buyers must spend a tremendous amount of money to purchase a home. They must therefore make not only a considerable emotional investment, but also contemplate the idea of a vast monetary expenditure. This can leave them nervous, but excited at the prospect of finding an idyllic property to call home. Real estate statistics show that buyers are virtually always emotionally-motivated when it comes to purchasing a home. Buyers will pass over houses that offer great value, if the property does not appeal to the person’s wish-list and inner vision of their best house or apartment. Meanwhile, buyers will pay top dollar, and even get involved in nasty bidding wars, to secure a home that fits their vision perfectly. Therefore, the conclusion that can be reached is that sellers must learn to appeal to buyers on a purely emotional level. They must craft their properties into mirror images of the dream homes that prospective purchasers can envision in their wildest fantasies. Who is likely to buy your property? Is it going to be a young family who wants to put down roots long-term? Is it going to be an empty-nester who wants to downsize? Is it going to be a single professional who is ready for their first home? Of course, it is impossible to know for sure who will buy your house or apartment. 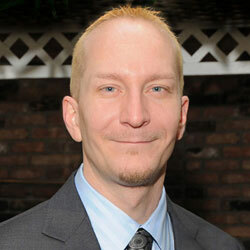 However, it is certainly possible to determine the likely buyer based on many criteria. This is a great conversation to have with real estate agents before you hire one to list your property. Once you know the target buyer demographic, then you need to be able to think like someone in their exact position: If you were a certain type of buyer, what would you want in a home? Once again, this is a great way to gauge the knowledge and professionalism of a real estate agent. If they can not help you to ascertain these crucial questions, then they probably are not the best choice to trust with your valuable listing. Once you have an image in your mind of what potential buyers will want, the rest is really quite easy. Simply go about creating their vision in your home, to the best of your ability. Address each and every want and need using a combination of renovation, refinishing and home staging until your residence embodies perfection in every detail. If you can accomplish this, then achieving the actual sale will be effortless. 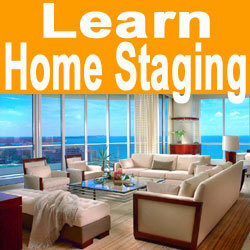 Home staging is slightly less effective when marketing investment properties, although this is not a rule. Even the most price-conscious investors can be influenced by the many benefits of quality property enhancement tactics. Besides, investors want to see value everywhere and by photographing the home fully staged, they will be able to attract the best quality of tenant using the staging investment that you already paid for. Don’t neglect to use this fact as an additional selling point. 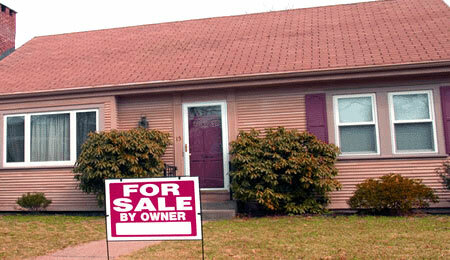 However, when marketing to potential owner-occupants, staging is the most effective tool for getting any property sold. This is because it is the only technique that appeals to all the senses and has a direct impact on the psychoemotional state of buyers from a first person perspective. Desire is a powerful motivation. If you can create the need for buyers to own your property, it will benefit you financially and will also be a very fulfilling process for everyone involved in the real estate transaction.